Took the BMW down to Williams BMW in Manchester yesterday to have its MOT done. I was also informed when I arrived that it also needed a recall doing on it. This turned out to be the fitment of a cam chain jump guard. 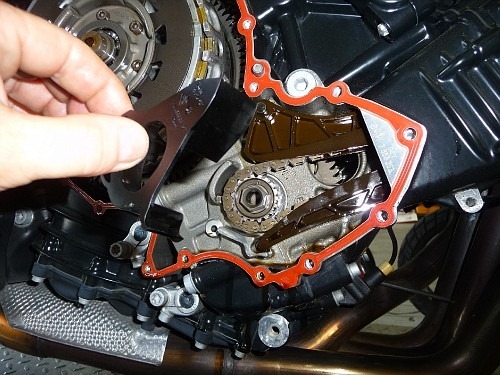 After reading several forum posts about the subject this recall is to protect against the cam chain jumping a tooth on the cam chain sprockets and the pistons slamming into the valves and destroying the motor. This can happen on higher mileage bikes were the chain might of stretched a bit. When the engine is started cold the cam chain tensioner doesn’t put enough tension on the chain hence it can jump in certain circumstances. The bike obviously past the MOT as it is still virtually brand new, so today I went down to the post office to tax it. Looks like Gary off NUKB is putting on a ride tomorrow so I might go out for a bit of a blast with them. Sounds like a good thing, better to be safe then sorry.